Our aim is to best equip you with the skills and knowledge needed to move you closer to employment. This programme will also provide you with our coaching framework to help you regain work-life balance or improve your existing work-life balance. We’ll introduce you to the 5 Steps to Success and a summary of the Leave Unemployment Strategies. The programme will help you develop the attitude, skills and motivation to move on personally and professionally. A copy of the Leave Unemployment Handbook is also available. The techniques within the handbook will help you transition quickly from unemployment to employment. 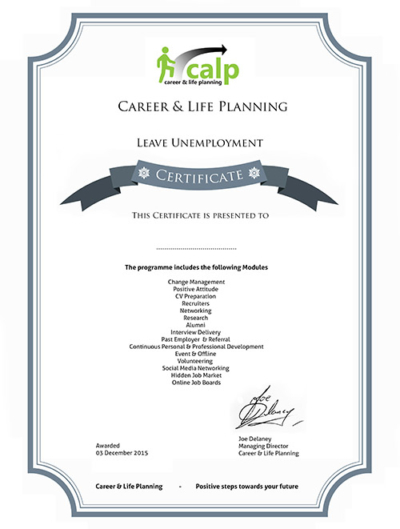 This leave unemployment support program can be delivered to individuals or groups and can be combined with other programs with the Activate range. Delivery formats also can be flexible. 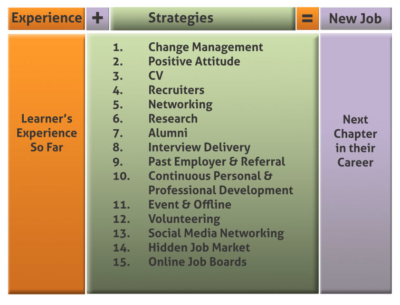 Each of these strategies is critically important in your ability to get noticed in today’s cluttered job environment. Identifying barriers that exist in each area and putting plans in place to overcome them are critical to being successful. Interviews are getting harder to get and competition for places is at a premium.